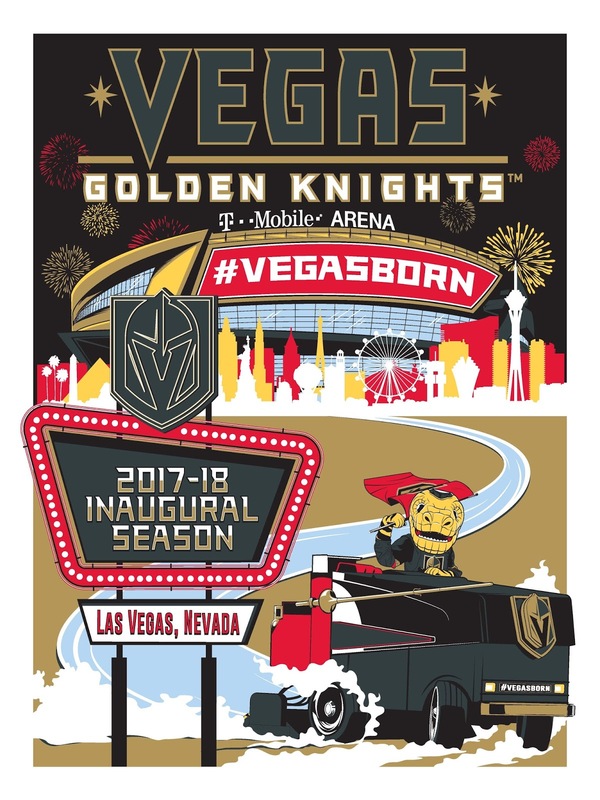 The NHL franchise in Las Vegas, the Golden Knights, will be launching a really cool new line of limited edition screen prints by Phenom Gallery to be sold exclusively at the T-Mobile Arena. The first piece in this exciting new Golden Knights collection is a design that will commemorate the Golden Knights inaugural season, featuring the team’s mascot Chance and the T-Mobile arena, along with the iconic Las Vegas skyline. This serigraph, by the artist Michael Fitzgerald, will be released on April 11th just in time for the start of the Golden Knights’ first post-season and quest to capture the Stanley Cup. 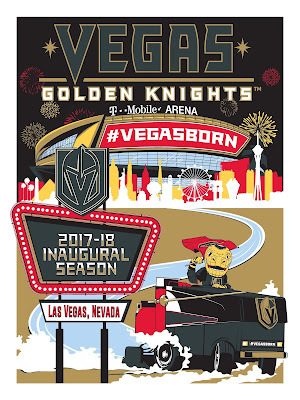 “With a historic season as what could be the most successful expansion team in US sports history, we have no-doubt that this first Phenom Gallery design will become one of the defining collector items from the Golden Knights first season," says Matthew Hoffman, President of Phenom Gallery. Each high-quality Las Vegas Golden Knights screen print is hand numbered and signed by artist Michael Fitzgerald, with a limited edition run size of 300 pieces. Fans can purchase this limited edition print exclusively at the T-Mobile Arena, available at The Armory team store or by phone order at 702-692-1606 for just $45.